This is 24 minutes of vicious grindcore with both a d-beat crust and a death metal influence. 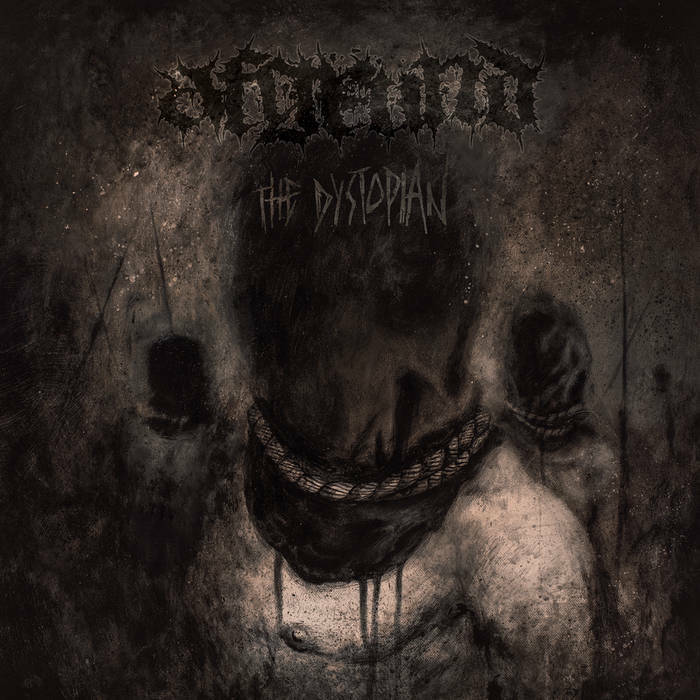 Afgrund’s latest platter of brutality boasts a huge, thick sound, with which it proceeds to rip, tear, and cut through all opposition without any appreciable resistance. This is nasty, savage stuff, and if you’re a fan of Swedish extremity then there’s a lot to like here. A few Swedish styles appear, whether this is the blistering sound of Swedish grindcore, the heavy groove of Swedish death metal, or the energetic attitude of Swedish crust. Afgrund have taken all of these elements into their sound, resulting in deathgrind that well and truly makes a mark. Full of plenty of blasting mayhem, the likes of which should satisfy any grindfreak, these songs actually have more than just sheer violent speed in their favour. Although this is an utterly brutal and merciless listen, it has a few weapons in its arsenal with which to destroy its targets. This is bleak and destructive music, focused on apocalyptic visions of mankind’s demise. This makes for a collection of tracks that are relentless in their service to devastation. Whether blasting at full speed, easing off the throttle with some mid-paced riff-heavy grooves, slowing down to some crushing heaviness, or anywhere in between, Afgrund have both the songwriting chops and the muscular recording to back up their threats of violence. There are even some additional sounds and effects included in some of the songs for extra impact. The Dystopian is exactly what you’d want from a grindcore release in 2018. Mixing elements of old and new into a lethal concoction that’s best given a wide berth, this is an album that any fan of grindcore should be able to eagerly lap up. This entry was posted in Grind and tagged Afgrund, Crust, Death Metal, deathgrind, grind, Grindcore, Metal, Swedish Crust, Swedish Death Metal, Swedish Grindcore. Bookmark the permalink.